Shropshire perfectly captures the rural English idyll of open moors, gentle, heather-clad hills, postcard perfect farming villages, good food and peace and quiet. This is wonderful countryside to explore at your own pace, but some of the best places to stay in Shropshire are in the county's capital Shrewsbury, one of England's best preserved Tudor towns, Ironbridge, birthplace of the Industrial Revolution, and Ludlow, near some of the county's most beautiful castles, and with some of the county's best food. Shrewsbury's castle and abbey (home of fictitious monk, Brother Cadfael), are famous enough to attract the coach trips, but this charming, medieval market town deserves more than a day trip. Amidst the timbered Tudor houses and winding lanes leading down to the River Severn you can see the birthplace of Charles Darwin, the Old Market Hall, and Henry Tudor House, where Henry VII stayed before the Battle of Bosworth. Ironbridge is almost the polar opposite to Shrewsbury's Tudor timber; a very industrial looking town, home of the first ever, you guessed it, iron bridge. Convenient for the mines and the railways, this was the sight of the Coalbrookdale blast furnace, where they discovered coke. Ludlow is a totally different looking town again. Topped by Ludlow Castle, the best preserved 11th Century stone-walled court in Britain, below you'll find an excellent selection of independent grocers, bakers, cheesemongers and butchers. With local produce of such high quality, Ludlow also has some of the best restaurants in the region, and is definitely one of the best places to stay in Shropshire for foodies. Spend a day wandering around Stokesay Castle in Ludlow and enjoy an audio tour to learn more about its history. You'll especially love the Great Hall and its well preserved interiors. Head to the Royal Air Force Museum Cosford, housed in a wartime hangar, and enjoy the wide variety of impressive aircraft on display. What's more, it's free! A great family activity. The Quarry is a beautiful park and gardens in the heart of Shrewsbury. Pack a picnic and spend your afternoon relaxing by the river! A serene spot. Learn about a wide variety of birds at Battlefield Falconry Centre, a splendid day out for adults and kids alike. Use our guide to the best places to stay in Shropshire and start to plan you trip. The Castle Hotel is perfect for enjoying the surrounding Area of Outstanding Natural Beauty in the South Shropshire hills. A haven for walkers and cyclists and very dog friendly it offers twelve bedrooms, great food and stunning views. Offering more than your average B&B, The Library House also provides: stylish decor, free parking in local car parks and a complimentary drink. And its sitting room was the old village library, making it one of the best places to stay in Shropshire if you want to catch up on local history. Pen-y-Dyffryn is a charming, 12 bedroom hotel with spectacular views over the surrounding hills and dales. 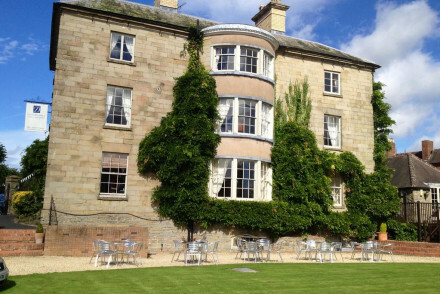 There's a lovely garden, you're within 25 minutes of four major National Trust properties and the room price includes a four course dinner and breakfast. Starting from £130 per night. Timberstone is a small but pretty cottage B&B, run by attentive owners with an interest in being green. As well as guests, the cottage is home to ducks and hens, so this is definitely one of the best places to stay in Shropshire for families. Soulton Hall is a splendid Elizabethan manor steeped in romance and history - their beautiful oak panelling dates from the 15th Century. As well as rooms in the 'big house' there are also self catering cottages. The Inn At Grinshill is a Grade II listed Georgian property boasting unfussy and traditional accommodation. Explore the surrounding countryside on bike or speak to a local riding school and get to know the area on horseback. Old Downton Lodge is a charming refurbished farmhouse expertly blending original features with modern bathrooms and stylish furnishings. With the Downton Gorge National Nature Reserve on your doorstep, head off on long hikes of the area and feel a million miles away from all your worries. Huxley's at Drapers Hall is perfect for playing Lord and Lady of the Manor, though it's not a manor, this gorgeous building was actually the Tudor Draper's Hall. Converted with style into a fine dining restaurant with a few beautiful rooms. 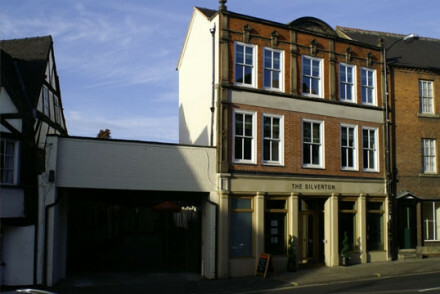 The Silverton offers modern accommodation set in a period building in Shrewsbury. 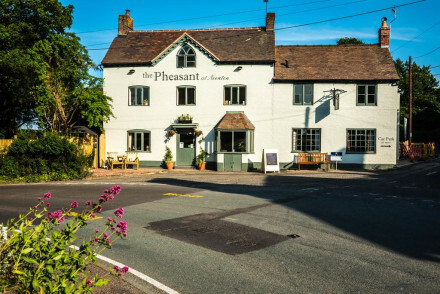 With a popular restaurant serving up British classics and the foodie haven of Ludlow just a short distance away, this is great choice for foodies. 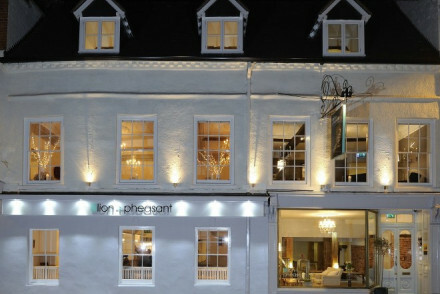 The Lion & Pheasant in the centre of Shrewsbury is a chic spot where old perfectly blends with new in its smart accommodation. Plus, the restaurant is highly regarded and serves innovative seasonal cuisine that has been awarded 2 AA Rosettes. Grove Farm House offers smartly decorated rooms with magnolia backdrops and various pieces of antique furniture. Plus, it boasts self-catering adjoining cottages that sleep up to four people, making it a top spot for family trips. The charming Timberstone B&B provides unfussy accommodation in a charming setting and serves up wonderful breakfasts. What's more, there's a family room available and plenty of local activities to keep the kids busy! If you think a self catering option would be your best bet then check out the wide variety on offer at our online partner, booking.com. The weather is fairly unpredictable in Shropshire, much like the rest of the UK. It's typically warmest though in the summer, with the average daily temperature 21°C in July and August. The nearest international airports are Birmingham and Manchester (about an hour away by car), though it's also within easy reach of the main London Airports. Most towns also have their own train station. Browse through our list of all the best places to stay in Shropshire. Alternatively, widen the search and check out our recommendations in Cheshire and Herefordshire. 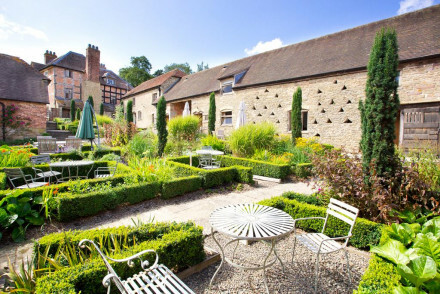 Comfortable country hotel in a charming Shropshire town, with stunning views - reminiscent of a French hilltop village. The 12 bedrooms are contemporary in style. Downstairs you'll find bars, dining room and a glorious garden & terrace for balmy summer days. Sights nearby - You are spoilt for choice for things to do including characterful towns, ancient castles and bountiful gardens. Spa - Comprehensive range of in-house treatments which are available on request. 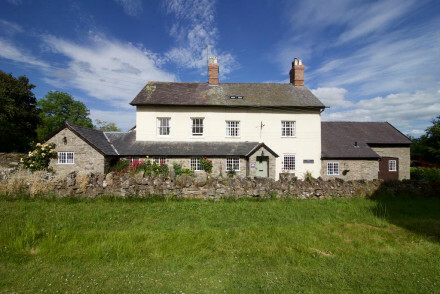 An elegant B&B situated in the Shropshire hills just outside Ludlow. The five bedrooms are individually decorated and all boast luxurious touches including Egyptian cotton linens and walk in wet rooms. Lovely mature gardens and stunning panoramic views. The perfect base for local exploring. Local exploring - The Graig is ideally located for exploring Ludlow and the surrounding countryside. Period on the outside, modern from within this property enjoys a prime location close to the River Severn. Chic, minimal rooms are decorated with natural colours. Michael Jordan runs a popular restaurant, serving modern, locally sourced British cuisine. A smart, inexpensive base for local exploring. Local markets - Ludlow town, with its abundence of farmer's markets as well as sprinkling of Michelin stars, is a foodies mecca. Great walks - The Shropshire hills, after which the hotel's rooms are named, provide many excellent walking routes. Sights nearby - Stokesay Castle, the Royal Air Force Museum and Blists Hill Victorian Town are all worth a visit. Sailing - Take a boat trip along the River Severn. A community run pub in a pretty Shropshire village. Three simply styled rooms feature white washed walls, crisp white linen and contemporary bathrooms. A fantastic restaurant offers up hearty British cuisine prepared with finesse. A delightful spot for a country escape. Country Escape - A rural inn set in picturesque countryside and playing host to a fantastic restaurant. Great walks - Discover the Shropshire Hills, an Area of Outstanding Natural Beauty. Sights nearby - Visit the World Heritage Site of Ironbridge Gorge. 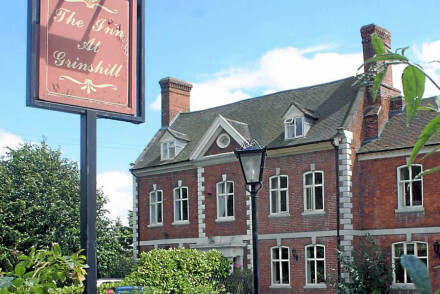 A charming owner-run Inn set in the quaint village of Upton Magna. The five rooms are individually styled and boast oak wood furnishings, modern bathrooms and deep-pile carpeting. The restaurant, Basil's, is the real show stopper offering award winning contemporary British cuisine. Foodies - The award winning fine dining restaurant is headed by the owner and is worthy of a visit alone. Sights nearby - Make a trip to the nearby Ironbridge Gorge World Heritage Site. Great walks - Take long walks in the National Trust’s Attingham Park. A splendid Elizabethan manor located in rural Shropshire. Steeped in history (it features oak panelling from the 1400s), romantic, atmospheric, yet comfortable and hospitable. Highly recommended for a country getaway with self catering cottages for those who prefer more flexibility. Immaculate intimate B&B on the banks of the River Seven and walking distance from the historical sites and gastro pubs of Ironbridge. Light, contemporary rooms exude comfort as does the sitting room and well kept garden. Conveniently sited and decorated with skill and taste, a truly memorable stay. Total relaxation - An extremely comfortable and laid back B&B, enjoy long evenings by the fire and afternoons on the terrace. Sights nearby - Shrewsbury Castle and Ludlow Castle are driving distance and worth a visit. Great walks - The Wrekin offers great walks and stunning views. A charming rural Inn complete with three recently constructed contemporary garden rooms. The main property is traditional in style with an atmospheric restaurant complete with an old cider press and sunny conservatory. A quiet and picturesque spot for countryside breaks. 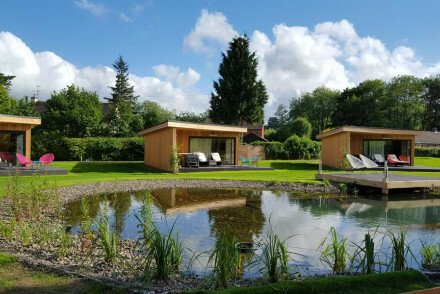 Romantic Break - The contemporary and secluded garden rooms are ideal for couples. 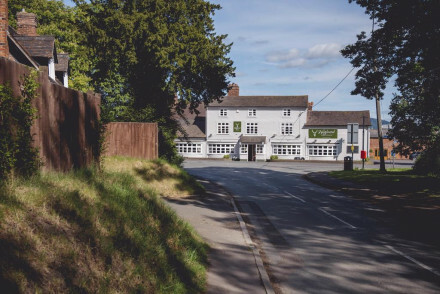 Country Escape - A rural inn set in picturesque Shropshire countryside. Great walks - Explore the picturesque walking trails that start straight from the hotel. Birdwatching - Find a host of species in the area including Red Kites and Buzzards. An idyllic stone cottage welcomes families and hopeless romantics to its quiet hideaway location. Exposed beams, calming colours and soak tubs make up the comfortable rooms. Breakfast is worth waking up for and sets you in good stead for a day of local exploring and nature rambling. Country Escape - An idyllic part of the English countryside to escape to for a weekend of rest and rejuvenate. Active Holiday - Climbing the Clee Hill, browsing the local markets, exploring the local castles and more. Families - With a family room, and plenty of activities to keep the kiddies entertained. Sights nearby - Stokesay Castle is a short drive away. The location for the film 'Atonement' with Keira Knightley and James McAvoy. 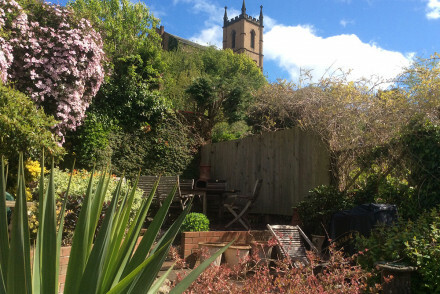 This property, dating back to 16th century is located in Shrewsbury's historic centre. It is where old meets new: exposed oak beams and flagstone floors juxtaposed with retro metal chairs. Rooms are light and airy with wrought iron beds and Louis XI print throws. Prebook a table at the restaurant! Sights nearby - St.Chads Church, Shrewsbury Museum and Art Gallery, Attingham Park are all close by. Local markets - The fantastic food markets and Michelin star restuarants of Ludlow are a must visit. Sailing - Boat tours along the picturesque River Severn can be arranged. Great walks - Meandre through The Quarry's scenic 29 acres. A charming country house boasting a secluded setting in a pretty part of Shropshire. Traditionally dressed rooms are cosy and unfussy. The atmospheric restaurant offers an exemplary à la carte and tasting menu and there's plenty to keep everyone occupied in the surrounding area. Country Escape - Great food and a beautiful tranquil setting. Great walks - Find beautiful walking trails starting straight from the property. Sights nearby - Visit the Bronze Age Mitchell's Fold Stone Circle. A traditional country Inn, this Grade II listed Georgian property offers guests six individually decorated bedrooms, classic in style. 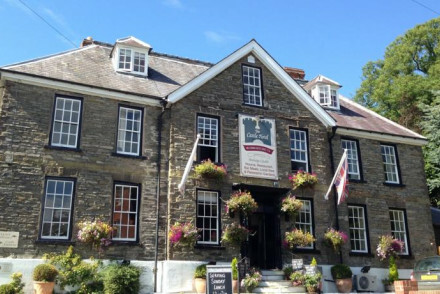 The Inn has a popular, quintessentially British restaurant specialising in food from seasonal, locally sourced ingredients. Great for local exploring. 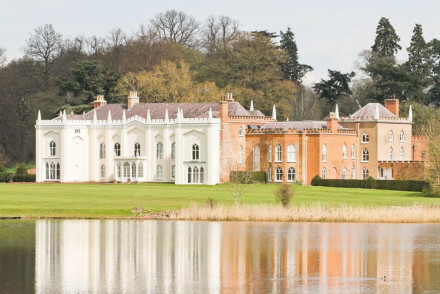 A stunning 17th century castle set in 17 acres of picturesque parkland. Atmospheric bedrooms are filled with heavy antique furniture, traditional paintings and chandeliers. Elegant reception rooms, a fantastic restaurant and rural setting make this an ideal wedding venue or country escape. Weddings - The elegant reception rooms, stunning setting and experienced staff make this an ideal wedding venue. 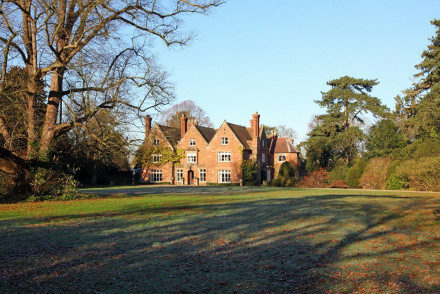 Sights nearby - Visit the nearby Wattlesborough Castle dating back to the 13th century. Great walks - take relaxing strolls through the parkland and surrounding woods. Established in 1485, this Tudor residence is the epitome of traditional English hospitality and comfort. 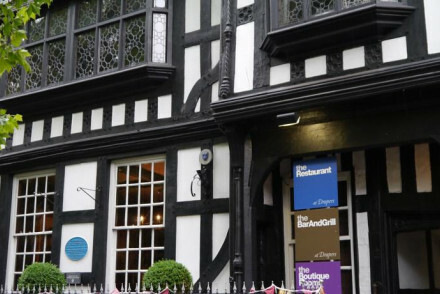 Four rooms offer the perfect base to explore the historical market town of Shrewsbury and within the same building is an established and popular fine dining restaurant. Great Shropshire hideaway. Foodies - Award winning and inventive menu, remains unpretentious and stays true to its locally sourced ingrediants. Romantic Break - Romance is in the air with double spa baths, scenic views, and candlelite dinners. Great walks - Up to Haughmond Hill for some scenic views of forestland and Shrewsbury town. Sights nearby - Be sure to check out the nearby castle and the market square. 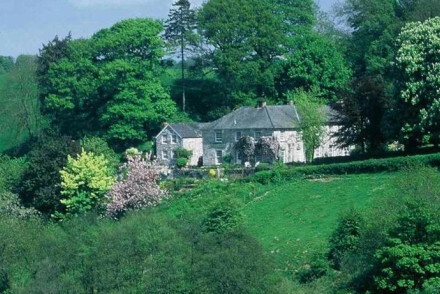 Resting in a valley on the Wales/England border is a country house hideaway ideal of nature lovers. Glorious views, comfort and antique furnishings make up the large rooms. Breakfast in bed, or on the terrace, is the perfect way to start your day in the green green grasses of Shropshire. Foodies - From the pan-fried wood pigeon to the Pantysgawn goat’s cheese mousse the ever changing menu will never fail to satisfy. Hideaway - In room massages, Daffodil filled walks along the river and long evenings by the fire- hard to get away! Fishing - Many rivers such as the Seven, Wye and Teme spread across Shropshire, Worcestershire and Herefordshire. An imposing town house located in the historic market town of Ludlow. Traditionally dressed rooms feature antique furniture, high ceilings and large sash windows draped with heavy curtains. The restaurant is worthy of a visit alone and the surrounding region has plenty to do. Local exploring - Set in a beautiful market town, the whole region offers numerous cultural and outdoor activities. Great walks - Take long walks through the picturesque Mortimer Forest. Local markets - Peruse the famers market in Ludlow's Market Square. Sights nearby - Take a tour of the neighbouring Ludlow Castle. 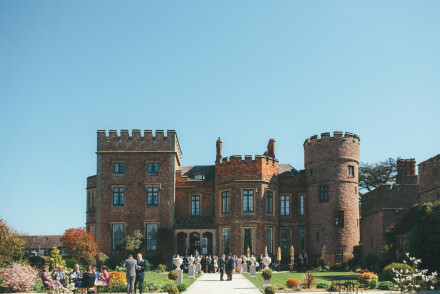 A stunning historic abbey set on the shores of a pristine lake. The north wing houses two guest rooms both of epic proportions and opulence. The best is entirely oak panelled and the other boasts an enormous bath with beautiful views. A grown up space for a country escape. Country Escape - A touch of the very good life in a beautiful and wonderfully quiet rural spot. Birdwatching - The 143-acre lake that the property stands by plays host to numerous birds. Great walks - Take long walks through the abbey parkland. A stunning country house dating back to 1640. The downstairs offers a cosy lounge filled with antiques, a roaring fire and intricately carved wood panelled walls. Meals are served communally in the smart dining room. 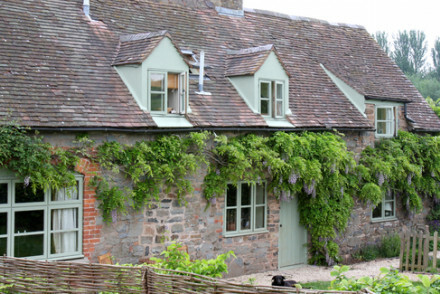 A quintessentially British stay in a glorious corner of Shropshire. Country Escape - An elegant rural house set in a secluded spot amidst beautiful countryside. Sights nearby - Visit the World Heritage site of Ironbridge Gorge, in Telford, often regarded as the birthplace of the industrial revolution. Great walks - Explore the cliffs, crags, caves and deep woods of the historic woodland of The Hawkstone Follies. Grove is a family house and guests are treated as such. 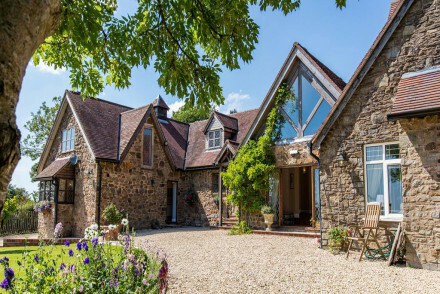 Stone built, with an array of self-catering cottages, it sits in Shropshire's rolling countryside. Rooms are decorated in duck egg blue and cherry reds, with magnolia backdrops, antique pieces and artworks. There is breakfast and afternoon tea. Great walks - There are many walks directly from the property. The South Shropshire Hills and Cardingmill Valley also have many walking paths. Local markets - Ludlow, with its many Michelin star restaurants, also has several popular farmer's markets. 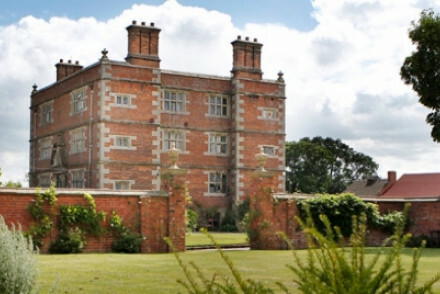 Sights nearby - The National Trust property, Attringham Park is just a ten minute drive away. 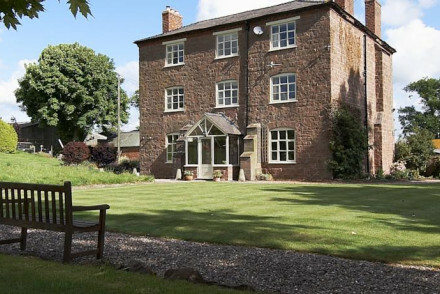 This stunning refurbished Shropshire farmhouse, expertly blends old with new. Some rooms come with four-poster beds and all have modern bathrooms. Enjoy meals in the elegant dining room over the weekend. This 18th-century getaway is a great choice for a quiet country retreat!